Mobile learning. Tablets in the classroom. Apps replacing textbooks. Eighty-six percent of American students say tablets help them study more efficiently, and their teachers are almost as supportive, with 81 percent believing the portable technology enriches classroom learning. But a tablet is only as effective as the apps it contains. Read on to discover one amazing Android app you need to get ahead at school. We’re talking about an amazing virtual classroom tool for your Android tablet, called Clapp. With this educational app, now both teachers and students can teach and learn anywhere and anytime. With intuitive user interface and beautiful design, the app will enhance your communication, improve collaboration and strengthen your knowledge. 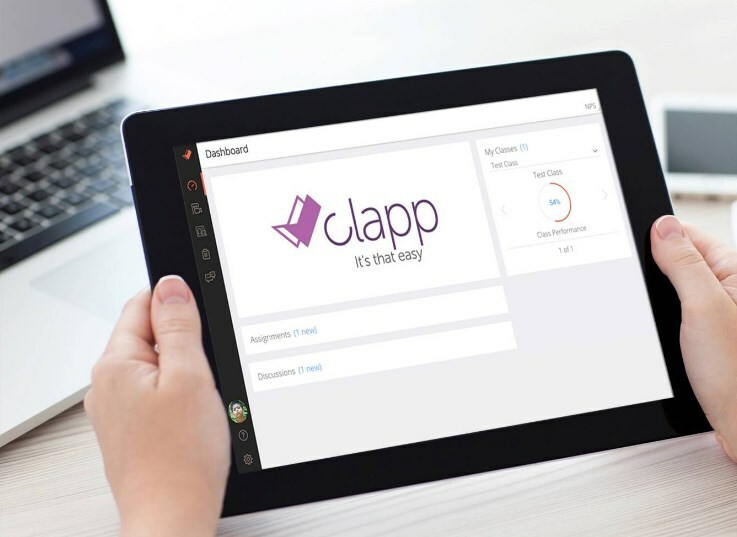 Clapp actually serves as a Learning Management System (LMS) to enhance your learning experience. Full of helpful features and amazing content, it offers a complete usage that’s not mandated by an Internet connection. With it, you can record audio and video to create unique lessons, use diagrams, pictures, shapes and fonts, you can manage your classes with assignments, announcements, discussions and grades, save drafts and back up all your work, etc. The app even includes some premium features that are more advanced.